If you prefer Grabtaxi heading to MOA Arena, use the GrabTaxi PromoCode MissUniverseGT and get PHP 50 off your 2 GrabTaxi rides. Grab Philippines is the Official Ride Partner Grab Philippines is the Official Ride Partner of the 65th Miss Universe which will be held in Manila. [January 20 Update] Get PHP50.00 worth of GrabCar rides when you use the GrabCar Promo code "GRABtoMRT". Good for up to Three(3) trips heading to any of the MRT Stations valid until end of January 2017. [January 15 Update] Get PHP50.00 worth of GrabCar rides when you use the GrabCar Promo code "GRABtoMRT". Good for up to 3 trips heading to the 3 MRT Stations: North Avenue, Araneta Center Cubao and Taft Avenue, valid until end of January 2017. This is not a sponsored post. 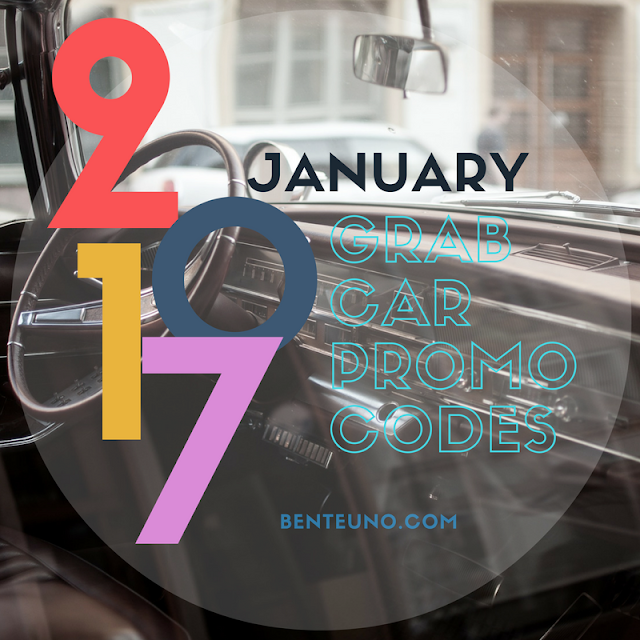 Grab's Promo codes and discounts are subject to change and availability. Use at your own discretion.